A whole host of famous faces were pictured arriving at Windsor Castle today for the wedding of Princess Eugenie and Jack Brooksbank. Supermodels Naomi Campbell and Kate Moss were in attendance as well as actress Liv Tyler, Downton Abbey creator Julian Fellowes and X Factor judges Robbie Williams and Ayda Field. Guests started arriving from 9am onwards and had to contend with very windy weather as they made their way inside the chapel. Naomi, 48, was pictured battling with her extravagant hat as she strutted her stuff amongst the guests. The supermodel showed off her slender figure in a fitted black and white dress which she teamed with opaque tights and black stilettos. She was joined by fellow model and good friend Kate Moss. X Factor judges Robbie Williams and Ayda Field were also pictured making their way inside the chapel. Ayda looked super chic in a cream coloured satin dress and a matching jacket as she waved to onlookers and held hands with her pop star husband. Robbie, 44, looked very dapper in a grey suit complete with a matching tie and waistcoat as he grinned for photographers. Singer Ellie Goulding looked lovely in a pale blue floaty dress which fell below the knee. The blonde star teamed it with a matching belt and fascinator, which she also kept a firm grip on for fear of it blowing off in the wind. Pixie Geldof also wore a very floaty number in the form of a hot pink garment which featured a cape style design. 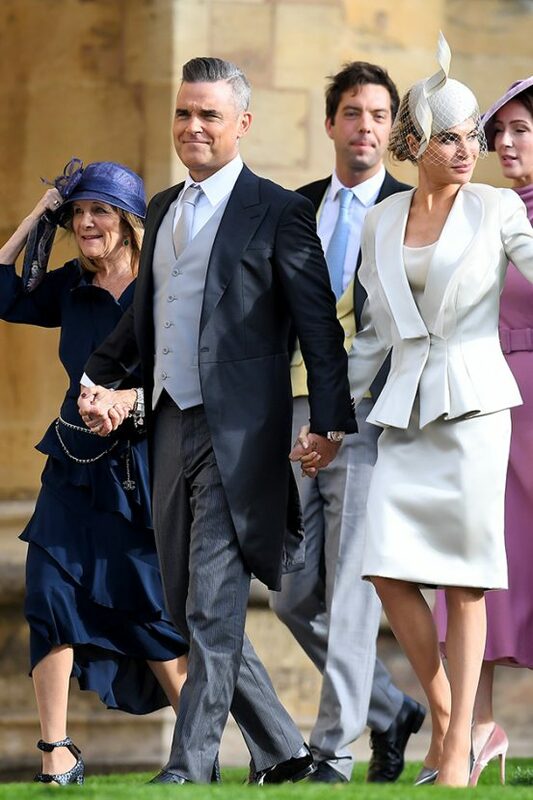 The post Liv Tyler, Robbie Williams and Ellie Goulding arrive for the royal wedding of Princess Eugenie and Jack Brooksbank appeared first on Woman Magazine.